Jet Set Agency Italy (Va) - Merry Christmas from Jet Set Agency! Thanks to +Jonathan LARRADET who made this tiny cute Christmas pure CSS3 animation. I wish to share it with you, wishing to everybody a Merry Christmas and a Happy New Year. I'll get back during 2015 with new hints and tips about the topics that I like to focus on. So if you are interested in #iBeacons or if you are pretty active on #socialmedia I'll share with you all the best that the web offer on those topics. Other topics that I'll talk about in the next months are #proximitymarketing #bootstrap #joomla #seo #ecology and a little bit of #hacking news. 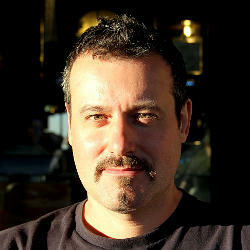 I work in: Varese (Va), Italy and work as Project Manager at Jet Set Agency.